A Washington State University College of Nursing graduate student helped bring the first needle-exchange program to Grant County, Washington. The new program launched in May – the same month Shawta Sackett graduated with her Doctor of Nursing Practice degree from WSU. Sackett designed the program as her final project for her DNP degree. Clients of the program can trade their used needles for new, one-for-one, plus get naloxone nasal spray, condoms, wound-care kits, and referrals to social services and substance-abuse treatment. America’s opioid crisis is driving the need for needle-exchange services, said Sackett, a former Grant County Health District epidemiologist. Nationally, nearly 80 percent of heroin users said they switched to the drug after using nonmedical prescription opioids, according to a 2013 federal study. 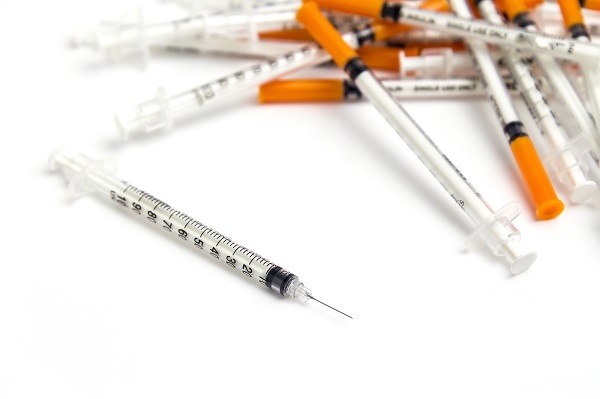 The growing number of people who inject drugs is contributing to rising HIV and hepatitis C infection rates, and studies have shown that needle exchange programs are a cost-effective way to reduce those rates. It’s too soon to say whether infection rates are being affected by the needle exchange program in Grant County, but the naloxone alone has helped prevent four potential overdose deaths, the Grant County Health District reports. In its first four months, the program exchanged nearly 1,600 needles for 55 clients. 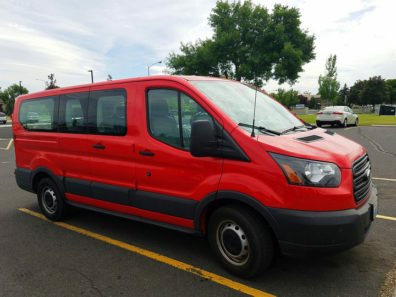 It’s a mobile program, with supplies distributed from a bright red van owned by Grant Integrated Services, a behavioral health service provider. The Grant County Health District runs the program, with support from health care organizations and the state Department of Health. The needle-exchange program is operated out of a van used for other mobile outreach by the Grant Integrated Services. Heather Massart, public information officer at the health district, said the needle-exchange services have been available in Moses Lake, but the district hopes to expand to other communities. Information taken from clients when they use the van’s services also will help the health district target areas where homeless people congregate, she said. “We ask them, ‘Where did you sleep last night?’ so we can provide services a little closer to where they’re at,’” she said. Sackett, who’s now a psychiatric-mental health nurse practitioner in Moses Lake, said outreach to law enforcement and local governments was essential to the successful launch of the needle-exchange program. “Syringe service programs are not successful if the community is not engaged from the get-go,” she said.